Searching for a smoothly running ETH app? 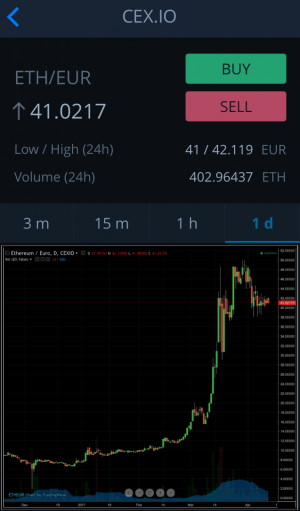 CEX.IO app is a perfect solution, as it combines ETH price tracking, wallet, and exchange. 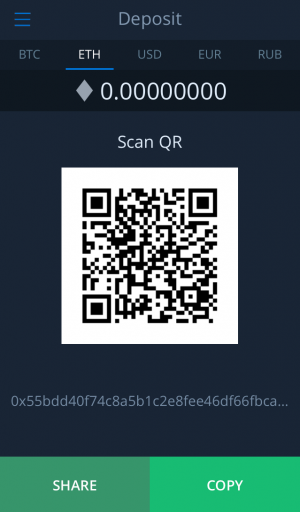 In fact, you can send and receive Ethers within the app, store them safely, or trade coins for USD or EUR. The app is being constantly updated. 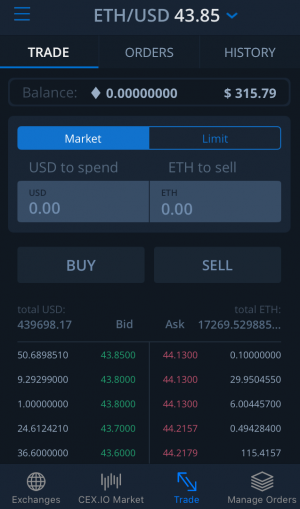 Thus, in the latest release, we added a card manager option, which enabled ETH purchase with credit cards in CEX.IO app. Along with ETH, consider buying/selling and sending/receiving Bitcoins, or even take advantage from ETH/BTC trading. The download is free and has no in-app purchases. So, give it a go for your iOS or Android device.